STORY – How I got my uni friend saved…. POINT - The case for Christ is compelling and convincing – but unless the Holy Spirit draws you – you cannot be saved. BUT – The only way we know what the Case for Christ is – is by reading the Bible - the word of God. THE RELIABILITY AND AUTHENTICITY OF THE BIBLE. IF SOMEONE ASKED YOU HOW DO YOU KNOW YOU ARE SAVED? – GOING TO HEAVEN. – WHAT WOULD YOU SAY? · I have had an experience of God’s love or power? · I have an assurance from the Holy Spirit that lives within, that I belong to Him. But all our experiences are subjective – only real to one person. So unless they are based on an absolute truth – something you can verify – something you can prove is completely reliable, how can we know for sure that we are saved? SO IS THE BIBLE – RELIABLE? IS IT VERIFIABLE? CAN IT BE PROVED CORRECT? Apart from internal evidence – what the bible says about itself, there are many ways in which the bible can be verified to be divinely inspired and without error. IT IS NOT ENOUGH TO SAY THAT SOME PARTS OF THE BIBLE ARE DIVINELY INSPIRED – IT IS EITHER COMPLETELY INSPIRED OR NOT AT ALL, BECAUSE OTHERWISE WE CAN NEVER KNOW WHICH VERSES ARE ONES TO STAKE YOUR LIFE ON, AND WHICH ONES WERE THE PRODUCT OF MEN. 1. Scientific Evidence for Creation and genetics – verifying Genesis. 2. Literary Evidence to verify the authenticity of original writings. 3. Prophetic Evidence to verify Divine Inspiration. 4. 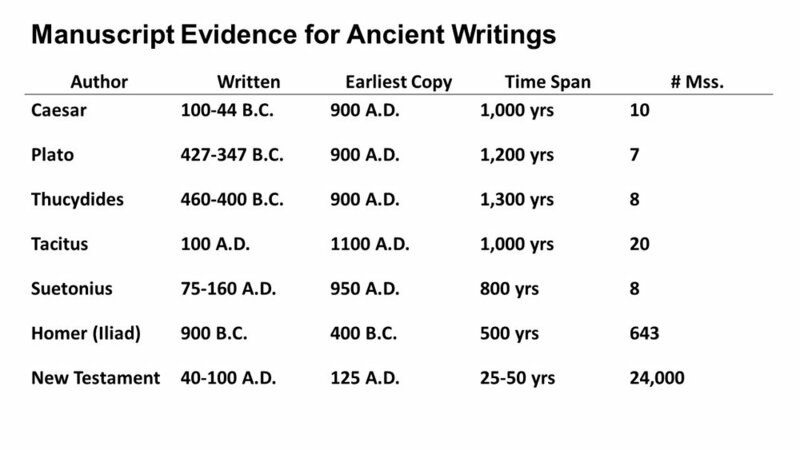 Archaeological Evidence to verify dates, times and places mentioned in the bible. 5. Historical Evidence – Non Bible historians who wrote about people and places corroborating bible facts. 6. Dead Sea scrolls – Evidence for accuracy of copying down through the centuries. 7. Legal Evidence – World renowned legal minds have determined the validity of the New Testament accounts of Jesus and the resurrection through the modern rules of evidence. 8. Biological Evidence – References to trees and plants in the bible are evidence of the accuracy of the text. WHO FIGURED OUT WHAT BOOKS SHOULD BE IN THE BIBLE AND WHICH ONES THROWN OUT? First, the books must have apostolic authority-- that is, they must have been written either by the apostles themselves, who were eyewitnesses to what they wrote about, or by associates of the apostles. Second, there was the criterion of conformity to what was called the "rule of faith." In other words, was the document congruent with the basic Christian tradition that the church recognized as normative. Third, there was the criterion of whether a document had enjoyed continuous acceptance and usage by the church at large. Church Fathers. How do we know the Bible has been kept intact for over 2,000 years of copying? Before the discovery of the Dead Sea Scrolls, our earliest Hebrew copy of the Old Testament was the Masoretic text, dating around 800 A.D. The Dead Sea Scrolls date to the time of Jesus and were copied by the Qumran community, a Jewish sect living around the Dead Sea. We also have the Septuagint which is a Greek translation of the Old Testament dating in the second century B.C. When we compare these texts which have an 800-1000 years gap between them we are amazed that 95% of the texts are identical with only minor variations and a few discrepancies. There are two criteria to determine if a piece of literature is accurate – reliable. 2. The time gap between the original autograph and the oldest copy available. This graphic shows that for ancient literature that we have confidence in like the works of Homer or Plato, the New Testament has by far the greatest literary proof and accuracy. With all of the massive manuscript evidence you would think there would be massive discrepancies - just the opposite is true. New Testament manuscripts agree in 99.5% (5) of the text (compared to only 95% for the Iliad). Most of the discrepancies are in spelling and word order. A few words have been changed or added. There are two passages that are disputed but no discrepancy is of any doctrinal significance (i.e., none would alter basic Christian doctrine). Most Bibles include the options as footnotes when there are discrepancies. How could there be such accuracy over a period of 1,400 years of copying? Two reasons: The scribes that did the copying had meticulous methods for checking their copies for errors. 2) The Holy Spirit made sure we would have an accurate copy of God's word. What is fasting all about?